Qidi Technology Dual Extruder Desktop 3D printer had been on our minds for quite some time as an option for our school lab. We wanted a tool that was user-friendly and gave life to 3D designs that our students could connect to easily and appreciate at the same time. We decided to delve into the product a bit more to find out if it was indeed a good bargain. Part of the encouragement came from the fact that the 3D printer is FCC, CE, and RoHS certified. This only means that the printer is approved for use in the USA (FCC) and conforms to all European standards (CE). What’s more, no hazardous chemicals have been used in its manufacturing process (RoHS). Well, that is half the battle won! Keeping this in mind, we began to dig up more information on the Dual Extruder 3D printer. The unique feature that sets our Dual Extruder Desktop 3D printer apart from others in its genre is the strong and flat aluminum plate of aviation quality standards. This simply means that you can subject the plate to high temperatures without it warping or deforming. In fact, each Qidi Tech Dual Extruder printer is tested for eight hours before shipping it off to the buyer. Now, that’s not the kind of customer service we come across every day, is it? The Dual Extruder Desktop 3D printer also boasts enhanced internal circuits designed to prevent static during the printing process. Neither the packaging dimensions nor the actual printer dimensions are too bulky. The packaging is approximately 22 x 17 x 22 inches (or 570 x 440 x 560 mm). The printer dimensions are 18.3 x 12.6 x 14.76 inches (or 465 x 320 x 375 mm). With a manageable weight of 46.3 pounds, this printer no doubt makes for easy transportation and manual handling without you requiring help from an extra pair of hands. The size of the object that the printer can create, also called the build volume, is pretty good too. The maximum build size is 9 x 6 x 6 inches (or 230 x 150 x 150 mm). This translates to a build volume of 5 liters. This Qidi Tech gadget is compatible with both ABS and PLA filaments of 1.75 mm thickness. In fact, the manufacturers even ship you complimentary ABS and PLA filament spools so you can get started as soon as you set your printer up. You can even experiment with TPU, which is a semi-flexible filament, with no problems. However, the Ninjaflex filament is not recommended because of its excessive flexibility compared to ABS, PLA, and TPU, leading to poor-quality prints. The nozzle diameter is 0.4 mm and heats up to a temperature of up to 260 degrees Centigrade. The Qidi Tech Dual Extruder 3D printer uses Fused Deposition Modeling (FDM) technology. This feature enables the printer to have a layer resolution of 100 to 300 micromillimeters and an adjustable layer thickness of 0.1 to 0.3 mm. The quality of the designs printed using the Dual Extruder is quite good. The printer bed can maintain a maximum temperature of 140 degrees Centigrade; the extruder goes further to 280. These temperatures are adjustable and can be set using the software or the interface on the printer itself. The printing process itself is devoid of any annoying noise except for the short alerts from time to time. One thing you might want to take care of is the ventilation in the room while printing is underway. ABS lets off toxic fumes, which is not the case with PLA. Since this is a dual extruder printer, you can print with two color filaments. You can even pause the printing to introduce a different color into the print object. The Dual Extruder 3D printer comes with two free filament spools. Other accessories available include the 3D print removal tool and the smoothing pen. The print removal tool is not only ideal for removing the printed object from the print bed but also to scrape off any leftover plastic. You can use the smoothing pen to smooth the exterior surface of the printed object using acetone. This is especially true for ABS prints. Of course, the Acetone again has to be purchased separately. 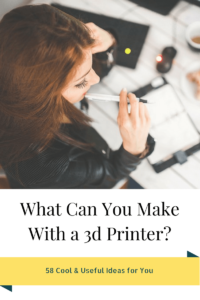 The 3D printer is compatible with all popular operating systems such as Windows, Mac, Linux and so on. Qidi Tech recommends the MakerBot Replicator software for printing. The printer packaging contains an SD card with the software, which is quite easy to install. The SD card also contains sample print files and an operation manual. You can print from the SD card or tether the printer to your computer through a USB port. 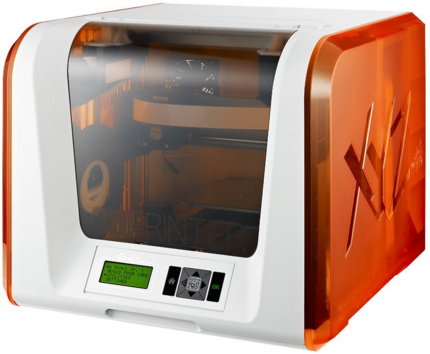 Qidi Tech ships its 3D printer with a three-month warranty. An extended warranty is not available presently. Customer service is trustworthy, with faulty parts being replaced before the expected date. Service executives also proactively resolve technical issues via e-mail and online chat. 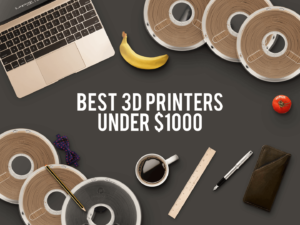 The Dual Extruder Desktop 3D printer does give you full value for your money, especially if you are a beginner to the art of 3D printing. It is compatible with ABS and PLA filaments, so you don’t have to depend on only one filament type to realize your creative ideas unlike some cheaper 3D printers in the market. Moreover, since it is a dual extruder printer, you can introduce a new color at any point in the printing process to produce objects in two colors. A point worth noting is the excellent customer service, considering it comes from half-way around the globe. We do understand that any gadget is … well … prone to misbehave from time to time. What often pronounces the fault is the lack of help from people who know it best. However, this isn’t the case with Qidi Tech’s Dual Extruder Desktop 3D printer. The solution to any problem, be it installation or actual working, is just a phone call or email away. You might find access to the SD card slot a bit challenging because of its location inside the printer. Instructions in the operation manual are missing some key information, which tends to pose a problem when setting up the printer. However, if you have prior experience of assembling and working with 3D printers, it perhaps will not be a major put-off. You might also want to consider the lack of an extended warranty at the present time while purchasing the item. On a scale of 1 to 5, 86% of customers have rated the Qidi Tech Dual Extruder 3D printer at 4.5 and 4% have rated it 4 in terms of easy handling and reliability. Eight out of ten users found it to be a good pick at a reasonable price. 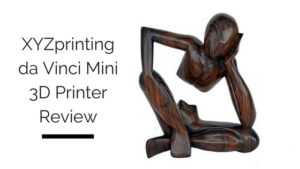 Novices, as well as, experts in the field of 3D print technology have had an overall good experience in printing both simple and complex designs. They would even recommend the product to anyone who wants to try his or her hand at 3D printing. The most common problems remain with the heating process and possibly misleading instructions. However, considering the excellent customer service and replacement policies, that should cover these and any other glitches that might arise from the purchase. The printer comes at a reasonable price of $799. Most online stores like Amazon offer free shipping. Qidi Tech’s Dual Extruder Desktop 3D printer is a quality device at an affordable price and dependable customer service. The range of its use is as limited as your imagination. Whether you are a fresher or an experienced print artist, you’ll be surprised at the magic you can create with it.